Today I have good news and bad news… As you know, Sale-abration will be over in just a couple weeks. The bad news is that the Sale-abration products are now available only while supplies last. In fact, that gorgeous Gold Card Tin is now sold out. When you’re shopping, be sure to have a second Sale-abration item picked out just in case your first choice is sold out. The good news is that today is Five Minute Friday! 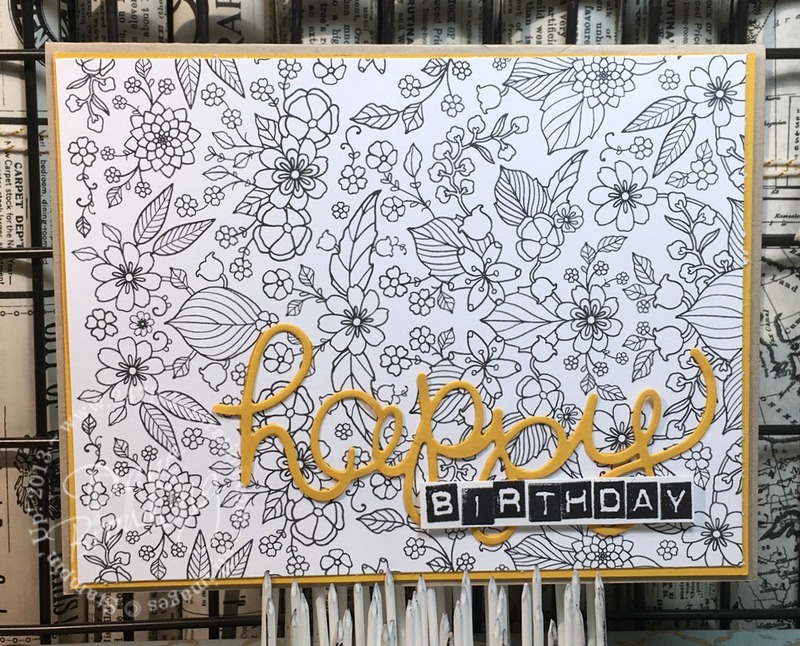 One of my favorite items from the Sale-bration catalog is the Inside The Lines pattern paper. This black and white pattern paper was designed to be colored. It looks great watercolored or inked. You can even use colored pencils or markers. The paper also looks great in just black and white. This is a really quick way to get an amazing background without a lot of work. Today’s cards show off the pretty paper just as it comes in the package. My first card has Calypso Coral accents and my second card has Crushed Curry accents. These were both very quick to put together. I glued the pattern paper to the piece of colored card stock, which I then glued to the card base. 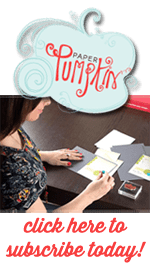 The “happy” is die cut and adhered with the fine-tip glue. 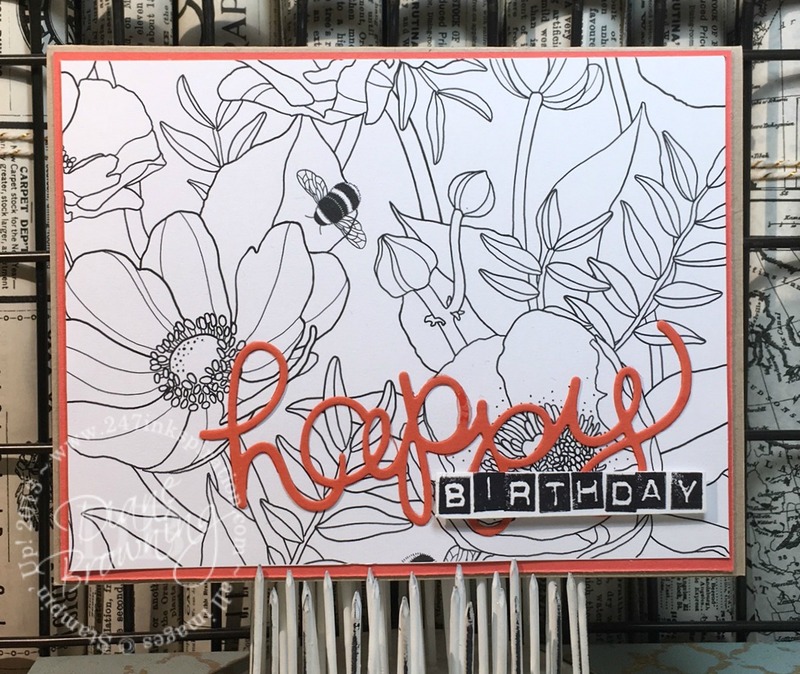 The birthday is stamped using the Labeler stamp set and then cut out. I was going for a wonky look on the “birthday” so I just eyeballed it as I stamped it. 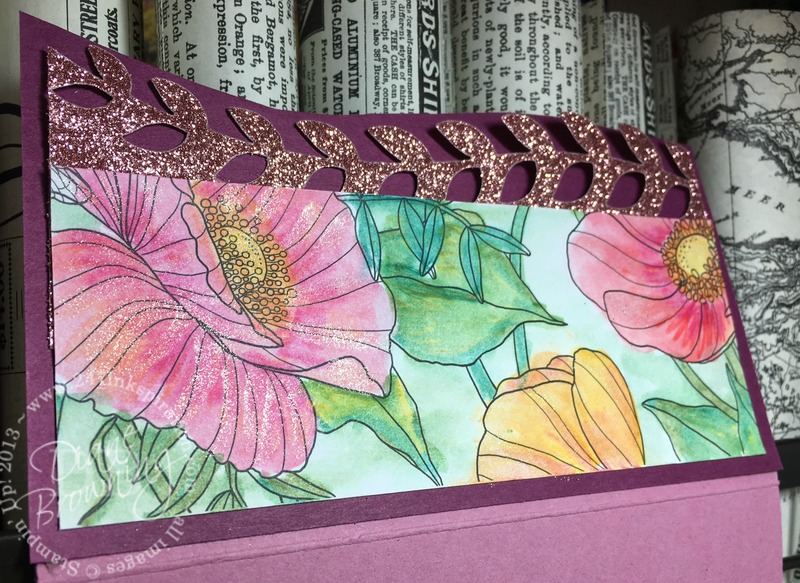 I do have an extra sample to share with you using this same pattern paper. 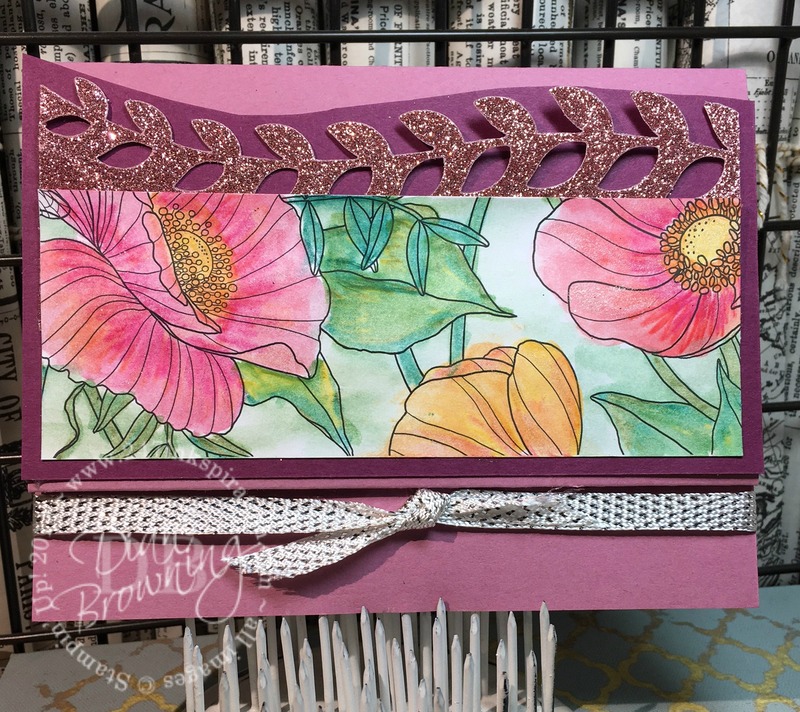 This card was made by my friend Poli and she did an incredible job watercoloring the flowers. Creating this kind of look with watercoloring will take you a bit of time. You’ll want to be patient and let it dry before you add too much color all at once. After it dries, you can add another layer of color on top to get all the different tones and the shading. And I’d recommend doing the flowers first, letting it dry, and then coloring the greenery. Or vice versa. If you watercolor both at the same time, you take a chance that the pinks and greens will bleed into each other. Here is a close-up view of the watercoloring. Can you see all the sparkles on it? It looks so cool in real life. I believe that was done with Wink of Stella after the watercoloring had dried. Whether you decide to color your paper or leave it black and white is up to you. The Inside the Lines paper is a Sale-abration item and it’s still available as of today. If you want this paper, you need to order it asap. Before it’s sold out. And it can be yours for FREE with a $50 purchase (pre-tax and shipping).